Sunil Gavaskar’s son Rohan Gavaskar will be making his debut in the IPL 2018. The father and son duo had earlier commentated together for a domestic game. Apart from English commentary, there will will also be commentary in other languages like Tamil, Bengali, Telugu and Kannada. The Vivo IPL 2018 kicks of 7th April and ends on 27th May. The first match will be played between Mumbai Indians and Chennai Super Kings at Wankhede Stadium, Mumbai. List of Bengali commentators who are going to feature in IPL 2018. List of Kannada commentators who are going to feature in IPL 2018. Australia’s Chadd Sayers took his first Test wicket by removing South Africa’s star batsman AB de Villiers on the first day of the fourth test in Johannesburg on Friday. Sayers, a replacement for the injured Mitchell Starc, joined the likes of John Hastings, Mohammad Irfan and Jasprit Bumrah as bowlers who got their maiden test scalp in the form of Proteas great De Villiers. The South Australian paceman was the highest wicket taker in the Sheffield Shield in the 2016/17 season, picking up 62 scalps at an average of 19. Sayers was criticised by Shane Warne on commentary, with the legendary spinner clearly unimpressed by the 30 year old’s speeds (consistently around the 120-130 kmph mark). He was however given the second new ball ahead of Pat Cummins by skipper Tim Paine and justified his selection by picking up both De Villiers and night watchman Kagiso Rabada in the same over. 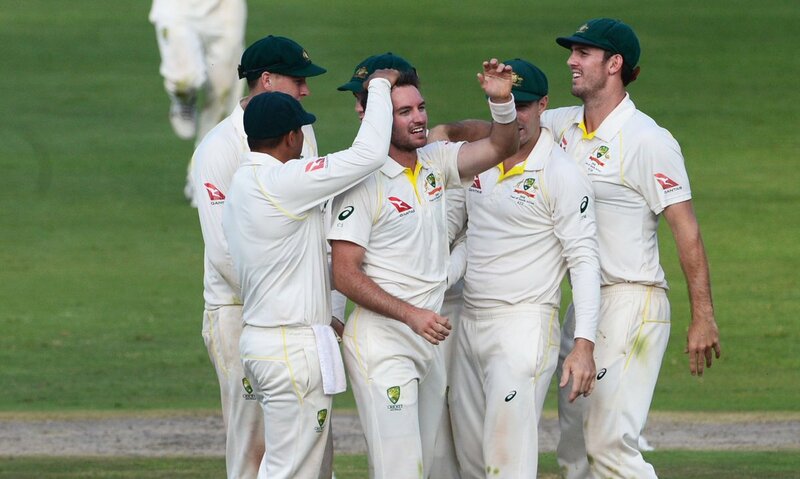 De Villiers edged a Sayers delivery to Paine and reviewed unsuccessfully after being given out while Rabada, too early into his shot, handed an easy catch to Matt Renshaw.